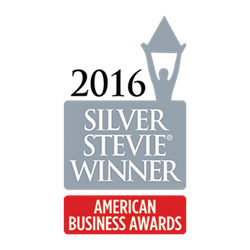 DemandLab was named the winner of a Silver Stevie® Award in the Company of the Year – Business Services category in The 14th Annual American Business Awards on Monday. It was the third Stevie Award win for the agency and members of its team. DemandLab’s focus on systems, platforms and processes that drive sustainable revenue has made it a strong partner and collaborator with its clients. This far-sighted commitment to the bottom line for their clients has served to differentiate DemandLab from traditional agencies and enabled them to establish long-term relationships that have accelerated the agency’s growth. In 2015, DemandLab grew revenues by 50%, doubled the size of its team, and earned a slew of awards, including a Stevie Gold Award for Company of the Year – Business Services – 10 Employees or Less, a Stevie Bronze Award for Women in Business and "20 Women to Watch in Sales Lead Management" Award from the Sales Lead Management Association (SLMA) for the company’s CEO, and two Marketo Champion Elite designations for team members Courtney Grimes and Alex Stanton. DemandLab’s technology-driven marketing campaigns also garnered considerable recognition for its clients, including a Summit Emerging Media Innovator Award, a Killer Content Award, and a finalist nomination in the Engager category at the Marketo Revvie Awards. DemandLab will accept the award at the gala ceremony at the Marriott Marquis Hotel in New York on Monday, June 20. Founded in 2009, DemandLab is an award-winning agency that specializes in creating powerful lead lifecycle and customer relationship strategies, aligning business teams such as sales, marketing, IT and finance, and growing revenues through advanced sales and marketing technologies. With a focus on the innovative use of marketing automation and CRM platforms, DemandLab applies industry-proven best practices along with proprietary methodologies to optimize sales and marketing efforts and grow revenues. DemandLab’s client list includes Fortune 500s and 70+ B2B and B2C firms. Learn more at http://www.demandlab.com.